Tamsin and Michelle have been inseparable since childhood. Even now they spend all their time together, along with Patrick, Michelle's handsome husband. Except Tamsin's brilliant assistant Bea (without whom Tamsin's life would fall apart) has heard a nasty rumour that Patrick is playing away. Determined to uncover the truth, Tamsin devises a honey-trap to test his resolve, using Bea as bait. But she never counted on Bea having her own agenda . . . Struggling to untangle the web of deceit, Patrick seems to be constantly one step ahead. Can Tamsin reveal the truth to Michelle without ruining everyone's life along the way? 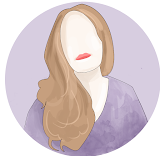 Its been a long long time since i read any Jane Fallon but when i spied this on netgalley, i was in the mood for a good old chick lit and i knew this would be what i would get with this. I was right. When Tamsin hears rumors about her best friends husband, she only wants to prove they are just that - enlisting the help of her assistant - things should be simple? 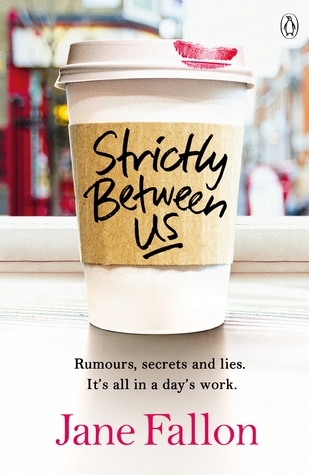 Strictly between us is a story with friendship at its heart, and perhaps the way Tamsin addresses the situation isn't probably the best - its only because she has Michelles interests at heart but will she just ruin her life anyway? Jane has created a mix of characters, some more likeable than others, but i felt the flaws in some of them (especially Tamsin) made them more real to me, like a bit of fresh air - sometimes we are flawed. This was an easy read, you can sit down with a cuppa, dive into the drama then carry on with your day. It was exactly what i was seeking - and what i remembered from Jane Fallon.